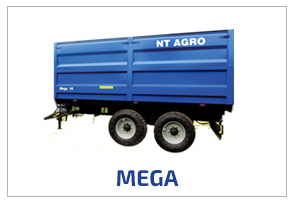 NT AGRO is the brand of trailers manufactured in Silesian district, Poland, by NT Industry manufacture plant. 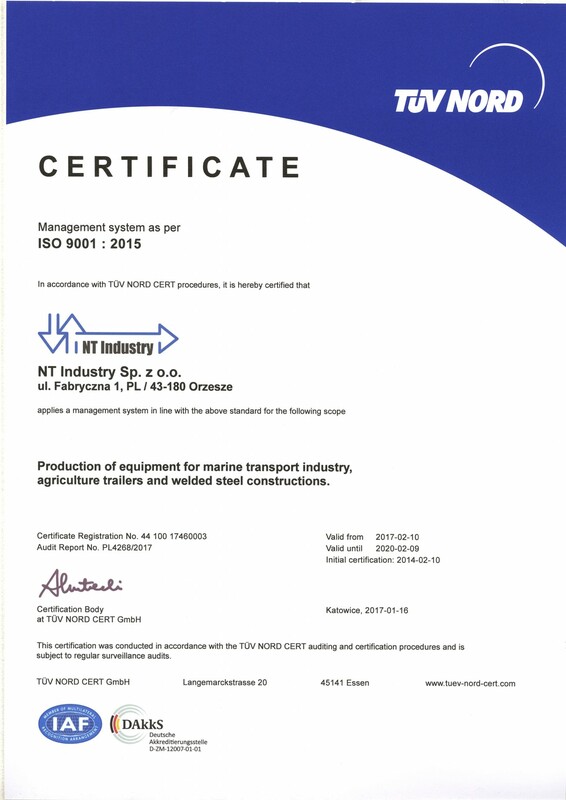 NT Industry is a company that belongs to Danish Novatech Group, acting in steel structure industrial branch since 1996. 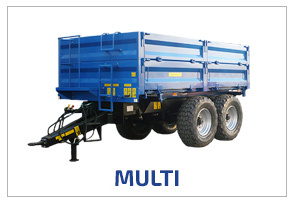 We deal with designing, constructing as well as manufacturing the elements, structures and steel devices. 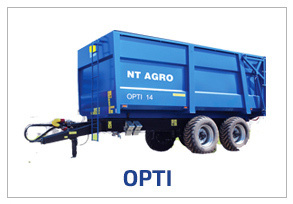 The main buyers of products are power industry, sea transport aswell as agriculture entities. 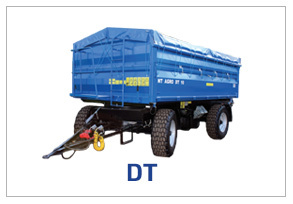 As Novatech Group, we control the whole manufacturing process of our products, starting from design stage up to the moment of transferring the readymade product to the Customer. 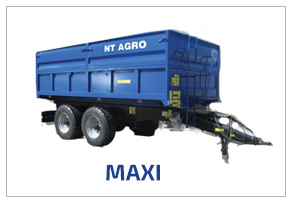 NT Industry manufacture plant is supported by departments as follows: design, sale, procurement and forwarding. Our designers and constructors cooperate strictly with manufacturing department; due to this fact we have an opportunity to perfect the existing projects and create the newones.